Did you know you can get rewards just for telling your friends and family members about us? It’s our Refer-a-Friend program: The more you refer, the more perks you earn! The rewards start off with a $10 gift card and keep going from there. The best part? 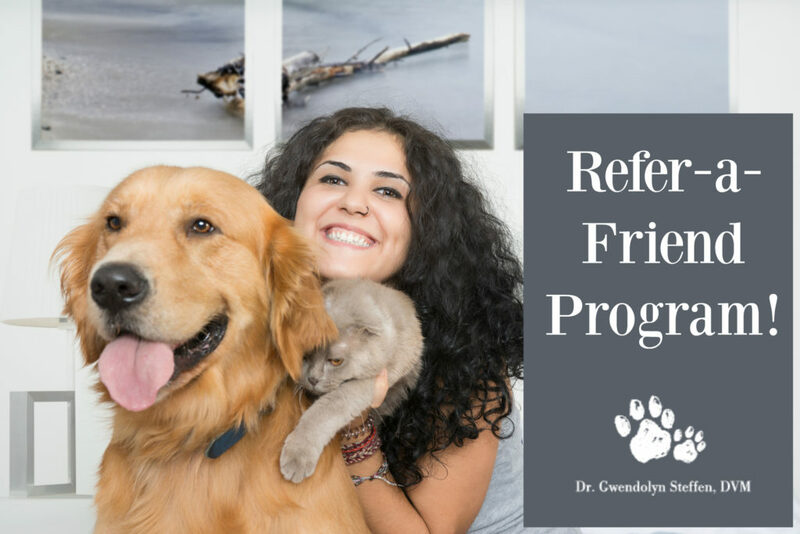 There’s no need to register for the Refer-a-Friend program, so it couldn’t be easier. Just tell your friend to mention you when they come by the office or make an appointment! Sign-in to our free WiFi at Dr. Gwendolyn Steffen DVM and receive an invitation to our loyalty program. Copyright © 2018 - Dr. Gwendolyn Steffen DVM. All rights reserved.